So far we have imported Forms from a Standard Library. Now lets do the same for Edit Checks. The Edit Check list for the Draft is displayed. Click and select the Standard Library Draft to import from. The List updates to show the Edit Checks in the Standards Draft. 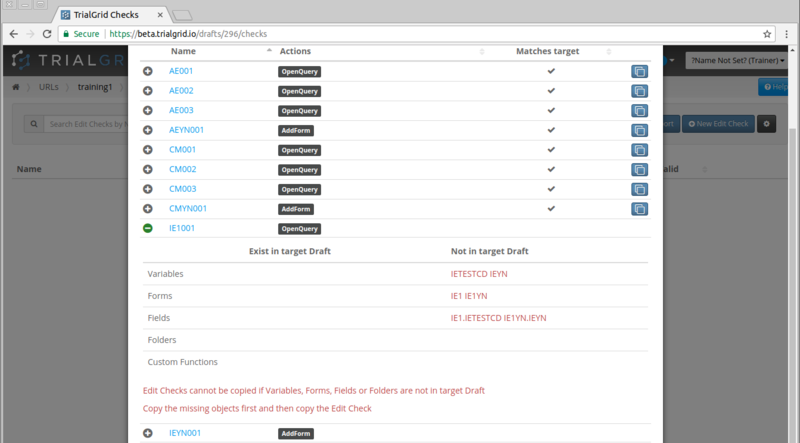 An Edit Check can only be imported if the target Draft you are importing into has all the necessary objects to make that Edit Check valid. 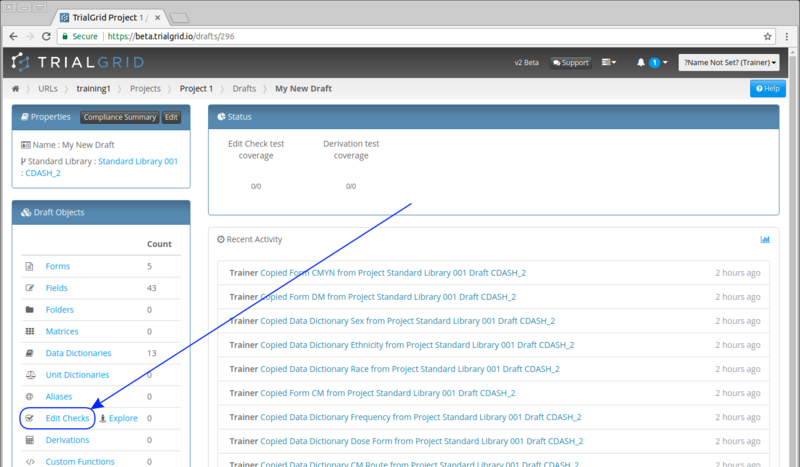 For instance, all the Forms and Fields referenced must exist in the target Draft. To view those requirements click next to the Edit Check name. 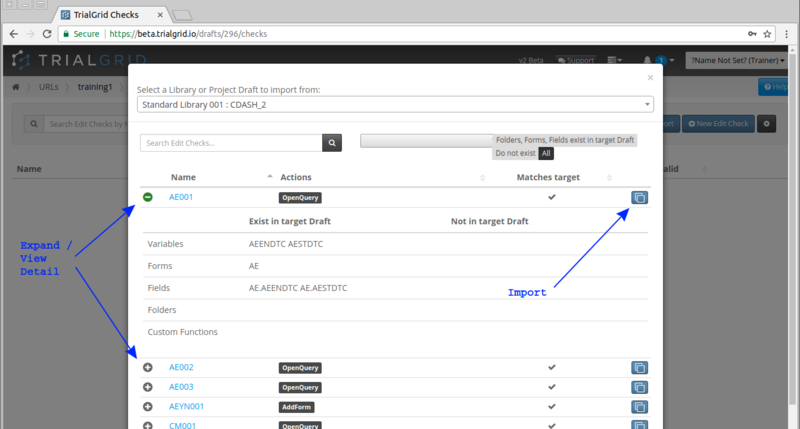 In the example above we can see the requirements for the Edit Check AE001. The button is enabled meaning that this Edit Check can be imported. A little further down the Edit Check list is an Edit Check which does not have an active import button because its requirements are not met.